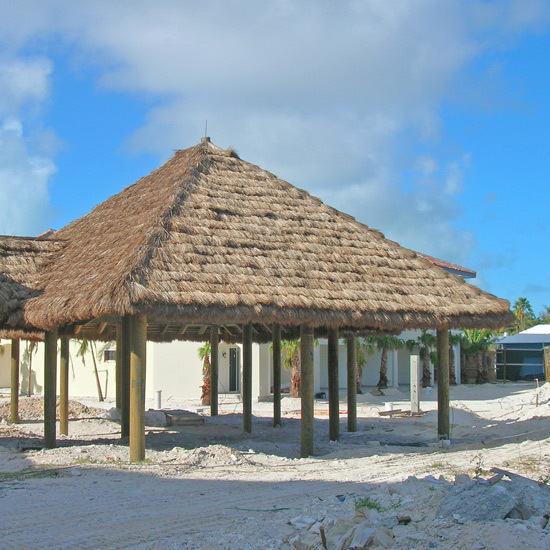 Tahiti Thatch: Made from the leaves of a hardy desert palm, these thatch panels are extremely durable in very harsh weather conditions, and offer an average of 6-7 years of life. 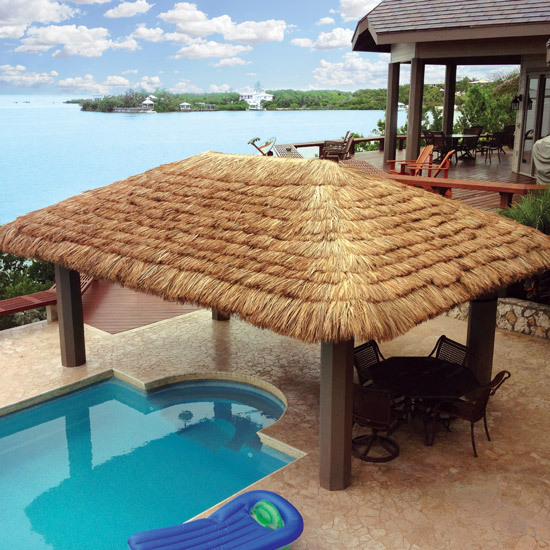 These easy-to-install thatch panels and Thatched top cones give instant island charm to any roofing structure. 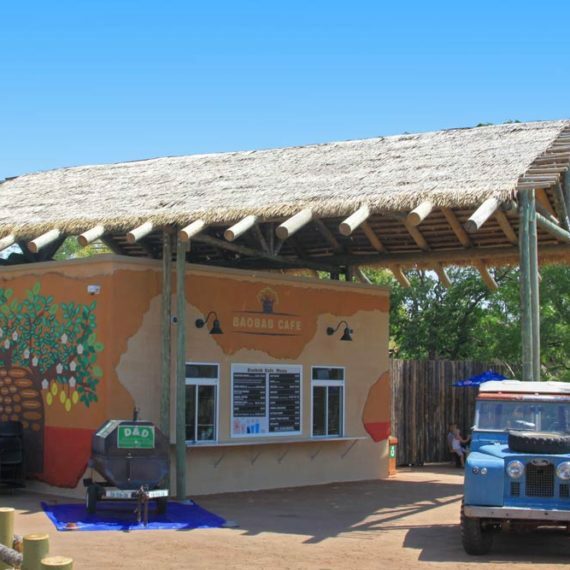 Widely used on Safari’s umbrellas and bars, these panels are also great for covering existing roofs on larger structures as well. Appearance: Made from the leaves of a hardy desert palm. Leaves are woven together with strong twine that may be cut and retied to specific lengths. Like all thatches, over time, the panels will start to silver wherever exposed to direct sunlight and rain. 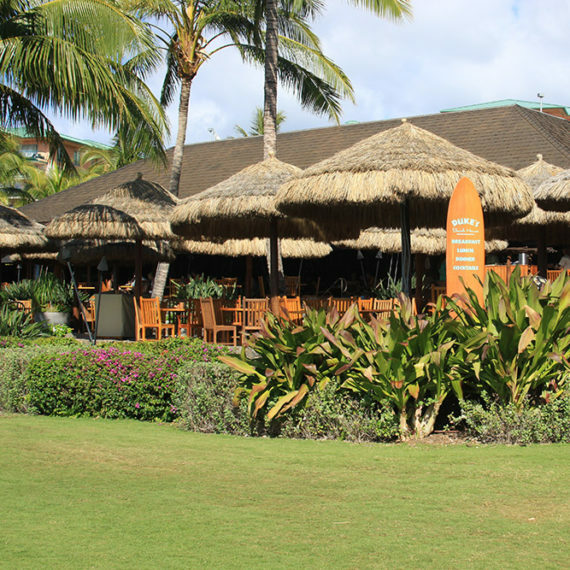 When initially installed, Tahiti Thatch has a shaggy layered appearance, after a few years, the layers tend to blend together. 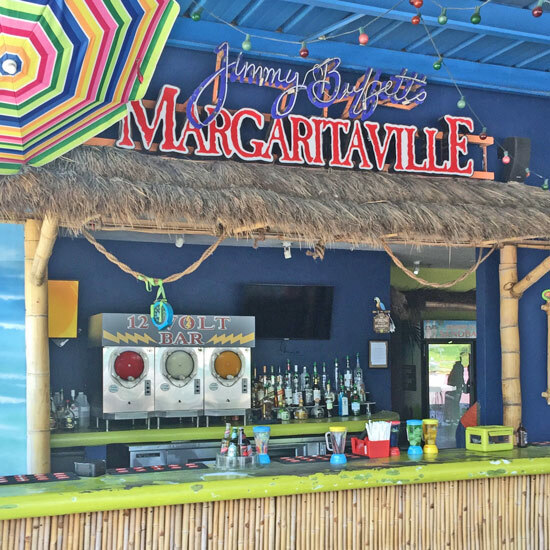 Ease of Installation: May be applied to virtually any roof via staples, nails, or screws. May be tied to battens, or Safari’s Umbrella Kits using electrical zip-ties. Color: Initially pale green-tan color, fades to silver gray over time.